"He does a great job in providing you with the best service possible, and the vechile that your heart desires! Thanks Mr Tillman!" "HERBY IS "THE MAN". I live in Jacksonville FL. My son works in the Jackson/Flowood area. His starter is dieing on his car. Herby was not only able to get the starter. I was able to pay for it over the phone AND he is having it delivered to my sons work so he won't be left stranded. Herby; my hat's off to you sir." At our car and truck dealership near Jackson, our team of professionals takes pride in their work, and we aim to serve our customers in a thorough and timely manner. In every transaction that takes place, we maintain a philosophy of honesty and directness that has helped us to earn the trust of many local drivers. We are your one-stop shop, hassle-free destination for all things automotive in the Jackson area. Whether you need help choosing the right used car for you, assistance applying for a used car loan, or you need routine maintenance or auto repairs, our helpful and knowledgeable staff are here and eager to assist. We offer the wide selection of the used cars that you’ve been looking for. From Hyundai and Kia models to Jeep, Dodge, Chrysler, and RAM models, we carry the variety you need when making the important choice to invest in a newer vehicle. We believe you should be able to depend on your ride to deliver on not only performance, but also style, so we carry vehicles that don’t force you to compromise on the two. Our mission is to make every customer a customer for life by consistently providing world class services. Whether you purchased your used vehicle from our lot or somewhere else, our savvy technicians are committed to performing the routine maintenance or auto repairs you need for the best on-the-road experience possible. Our Jackson area service center is conveniently located so that drivers can receive the maintenance they need when they need it. 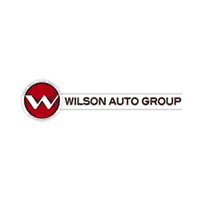 For more information about our used car and truck selection or our Jackson area car and truck dealership also serving Madison, contact us at Wilson Auto Group today!